“Without mental health there can be no true physical health”. This was the assertion by Dr. Brock Chisholm, the first Director-General of the World Health Organization (WHO). In recent years, multiple studies have demonstrated the integration between physical and mental health, which has led to the realization of the need for a stronger collaboration between care providers across the continuum of care. With primary care and acute care organizations adopting electronic health records, it has increasingly become more beneficial for behavioral health practitioners to also embrace EHRs as tool to enhance both the quality and continuity of patient care. In addition to the benefits for patients, behavioral health EHRs also have the ability to improve a practice’s workflows by decreasing the amount of repetitive tasks that takes providers’ and staff’s time away from patients, such as those related to scheduling, documenting, and billing. These improvements can even have a positive impact on practice’s bottom line. 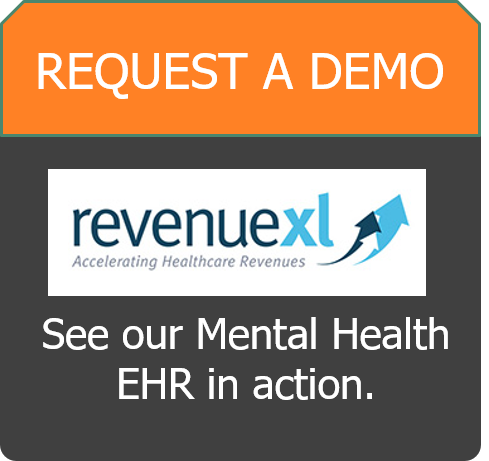 Behavioral health practices may have complex processes and unique requirements that are not encountered in the primary and acute care areas, and they need an electronic health record solution that have the capabilities to meet those requirements. Behavioral Health EHR is a specialty-specific software system that enables behavioral health care (BHC) practitioners to provide patient-centered care while using technology to help improve the patient outcomes. Behavioral health is unique in that an organization could be providing care to patients in several diverse settings, from in-office counseling to inpatient acute-care consult to outpatient group therapy, among others. A well-designed Behavioral health EHR system supports each organization’s way of doing business by enabling them to customize the tools to their specific practice processes. The tools and workflows must also be scalable such that it can be used for single physician clinics as well as large, multi-location organizations. Because behavioral health care integrates therapies involving both the mind and body, it has very specific clinical documentation needs. This is why BHC-specific treatment plans and Note templates are very helpful and can streamline practitioners’ workflows, allowing them to have more time for patient-centered communication and care. This content can include treatment plans for common complaints such as addiction, ADHD, anxiety, bipolar, depression, eating disorder, mania, and suicidal ideation, among others. This also includes specialty scales such as the PHQ-9, Hamilton Anxiety Rating Scale, Brief Psychiatric Rating Scale, and more. Additionally, BHC content includes a variety of BHC-specific patient questionnaires that can automatically flow into clinician’s Notes. BHC-specific patient education materials can be provided to patients to help them manage their condition. Behavioral health care has specific challenges when it comes to medication management. Mental conditions and illnesses may have a variety of physical comorbidities, which makes monitoring and tracking all the medications that a patient takes a must. Electronic Prescription takes away a lot of the guesswork and manual tracking involved in paper-based documentation, and has the added advantage of allowing for such automated functionalities as checking for correct dosage and duplicate medications, as well as detecting possible drug-drug, drug-food, and drug-allergy interactions. Many behavioral health conditions necessitate the prescription of controlled medications such as narcotics, stimulants, and depressants. Electronic Prescription of Controlled Substances (EPCS) gives practitioners “the option of writing prescriptions for controlled substances electronically” and pharmacies the permission “to receive, dispense, and archive these electronic prescriptions”. Various studies have shown that patients with mental illness often have medical / physical comorbidities, including diabetes and cardiovascular diseases, among others. The Synthesis Project notes that “’collaborative care’ approaches that use a multidisciplinary team to screen and track mental conditions in primary care settings have been the most effective in treating these conditions”. Besides behavioral health practitioners such as psychiatrists and psychologists, the multidisciplinary team may include the patient’s primary care provider as well as specialists such as cardiologists, nephrologists, and endocrinologists, among others. This makes it necessary to have Behavioral Health EHR that is able to communicate seamlessly with other medical organizations such as primary care and specialty practices, as well as inpatient facilities, pharmacies, and laboratories. This ability to “interface” or share records with other members of the patient’s extended care team allows for improved communication and collaboration. One of the advantages of electronic health records is its ability to provide alerts, reminders, best practice guidelines, and reports to various members of the care team based on the patient’s specific condition, status, clinical documentation, as well as the patient’s own responses to surveys and questionnaires. These CDS tools help the collaborative care team provide safer care across multiple practices and locations. Global Assessment of Functioning (GAF) is a scale used to depict a patient’s level of functioning. GAF charts show this status in a graphical format in the EHR, providing clinicians with a visual cue of the patient’s condition. At the center of Behavioral Health care is the patient with a behavioral illness, who may greatly benefit from being increasingly engaged in their own care. Behavioral Health EHR is able to support patient engagement in a variety of ways, such as via patient portals that allow them to schedule appointments and communicate with their care team via secure messaging, thereby enabling a freer flow of information. Top of the line behavioral Health EHRs also have the flexibility to allow patients to schedule recurring appointments, as well as one-on-one or group therapy sessions, and be able to do so in various care settings. They can also provide automatic appointment reminders. All these have the potential to increase patient satisfaction and compliance with their care regimen, as well as decrease cancellations and no-shows, making it a win-win for both patients and practitioners. Many behavioral health therapies often utilize ‘therapeutic presence’ – which involves the practitioner being fully present and giving their patient full attention and focus in that moment. However, this could be disrupted if the clinician has to switch her or his focus to a desktop computer and start typing during the session. Multiple data entry methods allow clinicians the flexibility to use the documentation mode that works best for them and their patient and/or the specific situation. Handwriting recognition allows clinicians to write their notes in free text using hand-held devices, mimicking the act of writing on a notepad. In this way, the clinician’s focus can remain on the patient since they won’t have to turn away to work on a desktop device. 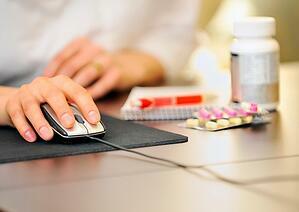 Other data entry methods such as point-and-click or voice recording may still be used in other situations. Another key feature that is highly beneficial to both patients and practitioners is the ability of a Behavioral EHR to quickly access notes from previous sessions. This decreases the clinicians’ frustration due to a slow and cumbersome search, and enhances the quality of care by making the patient’s information easily and quickly accessible. Telemedicine Psychiatry or “Telepsychiatry” has the potential to provide mental health care to previously underserved or remote patients, usually via videoconferencing. The American Psychiatric Association notes that “with a robust evidence base that shows telepsychiatry leading to improved outcomes and higher patient satisfaction ratings, policy makers, payers and providers are increasingly considering ways to implement and use telepsychiatry”. 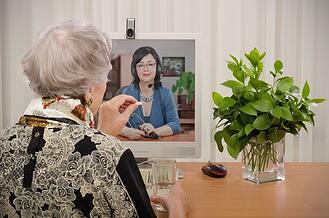 Telepsychiatry can be done in a “synchronous” mode – when both the patient and provider are interacting and communicating “live” or in real-time. Besides video cameras and/or computers, this requires a secure high-speed internet connection to be successful. Alternatively, the telepsychiatry session can use the “asynchronous” mode – when a patient’s session such as an interview is recorded and then forwarded to a consulting psychiatrist for evaluation at a later time and/or with a batch of other pre-recorded interviews. Effective Behavioral Health EHR solutions not only include features to improve patients’ well-being, they also have tools that support the clinical practice’s financial health, such as making billing easier and faster by mapping ICD-10 codes to complaints. These software solutions should also have the ability to record up to three insurance policies or payment sources. Having integrated software solutions decrease repetitive tasks such as billing and coding chores, freeing up clinicians to spend more with their patients. 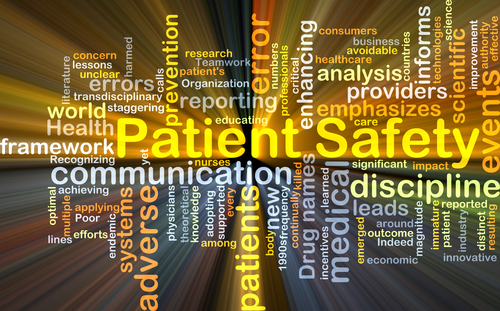 The best Behavioral Health EHR gives clinicians information at their fingertips via reports. These reports, which mines the available data entered in by various clinicians and staff at different times and locations, can include productivity as well as billing and meaningful use-related “dashboards”. 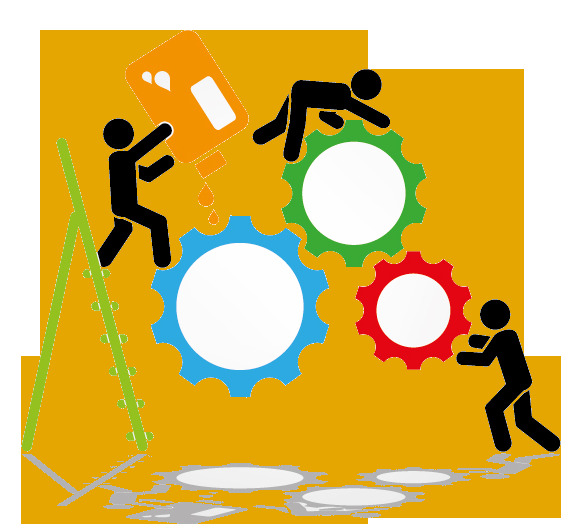 These reports can be customized based on the practice’s workflows and needs. Top of the line solutions may also include specialty-specific tools such as prescription analytics that uses millions of de-identified prescriptions. The ability to access the patient’s electronic health record from a variety of locations and devices is especially helpful to behavioral health clinicians, who may be conducting therapy sessions in their office on one day and providing consultation services in an acute care hospital the next. Cloud-based EHRs have the advantage of being available via a standard browser and internet connection. Being able to use devices ranging from desktop computers to laptops, tablets, and smartphones streamlines practitioners’ workflows even further. Although the usage of Behavioral Health EHRs is not yet as prevalent as those in other arenas of healthcare such as primary and acute care, they definitely provide benefits that are not possible with paper-based charts. The best Behavioral Health EHRs enable collaborative care, which has been found to be essential in effectively treating patients with mental and physical comorbidities. These software solutions also have the potential to significantly increase patient engagement, as well as make psychiatric and behavioral health care available to more patients than was previously possible. In addition to providing benefits to patients, they have the potential to help practitioners improve their own workflows, streamline billing and coding, and expand their practice. Even though financial incentives may not be in the immediate horizon, BHC providers can see and start taking advantage of the many benefits provided by Behavioral Health EHRs.